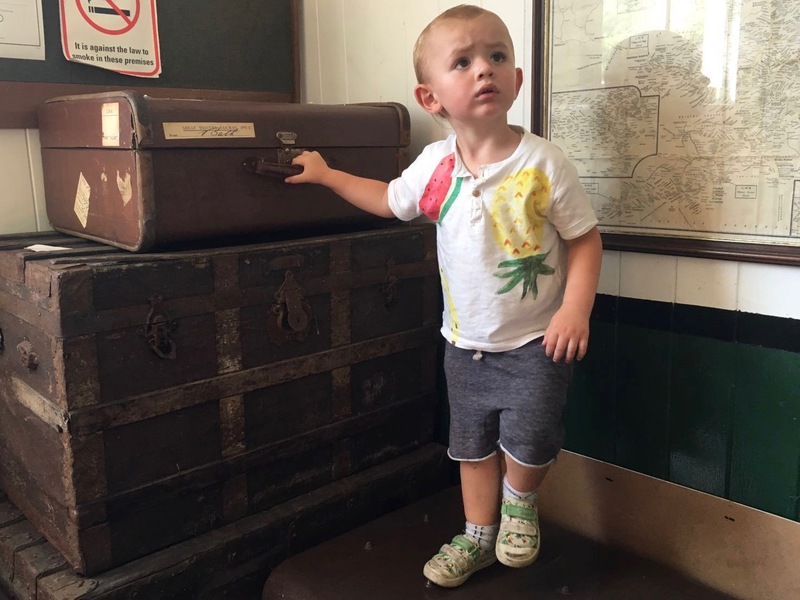 SEEING as it’s summer and we’ve actually had a few days of nice weather we’ve gone a bit tropical for this week’s What the Boys Wore post, with pineapple and cacti prints. Stew has had a few night shifts, which meant that on Tuesday when Santi doesn’t go to nursery we were all off for the day. 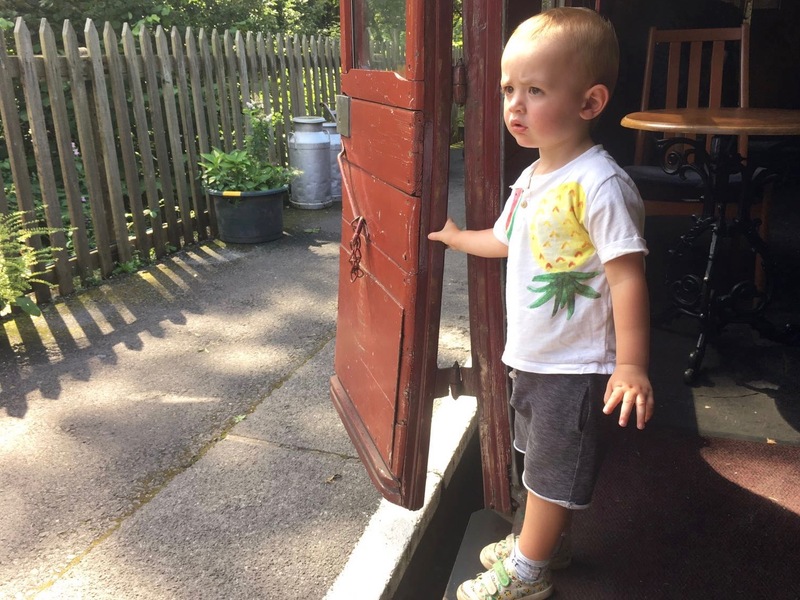 We decided on the spur of the moment to go for a trip on a steam train, which was so hot we could have been in the Bahamas. 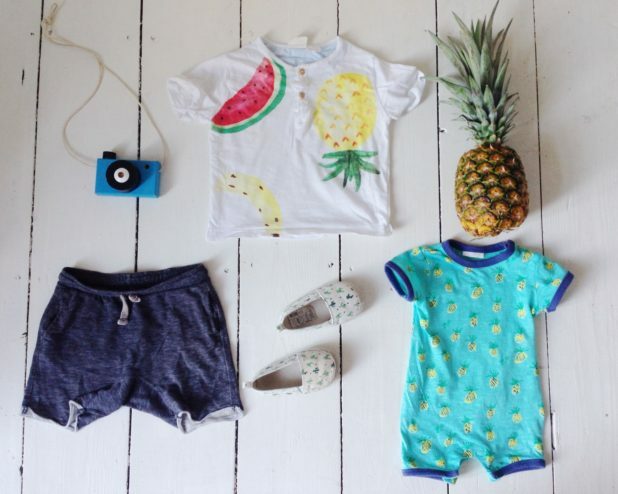 This is what the boys wore for the day out … I never thought I’d be using an actual pineapple for a flat lay, but seeing as there was one in the pantry it would be rude not to! Santi yet again is wearing a Zara outfit, which has been one of my favourites this summer. I love the bold fruit print on the tee, which has a pineapple, banana and watermelon on, and the distressed look of the turn-ups on the shorts. Typically I planned the outfit but Stew dressed him, so the cactus shoes didn’t make it out of the house! I think they’re another purchase from the girls’ section at H&M … who says boys don’t like cacti?! Ezra’s outfit is also one of my favourites (I do love pineapples! ), and came as a pack of two from Next. The other one is navy and white stripes and is a towelling material, which feels lovely and gives it a nice texture, but is a bit odd for a summer outfit as it’s really warm. Not looking too happy here! Until next week (when I can’t guarantee another fresh fruit flat lay! ), why not follow us on Instagram to see what else we get up to? ← Five Guys Cardiff review: Are the burgers worth the hype? I love the little baby romper! Currently obsessed with pineapples, sometimes I wish I had a child just to dress them up in this little number.. These are super cute outfits! They look adorable! Such cute outfits! 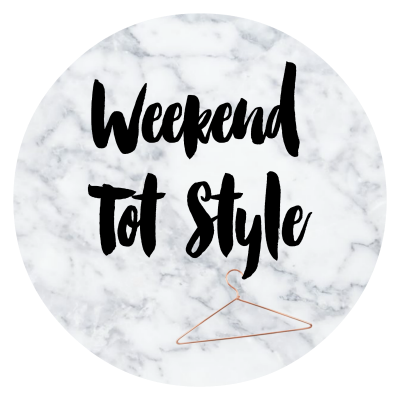 There are some lovely kids clothes around right now aren’t there? Oh my heart! 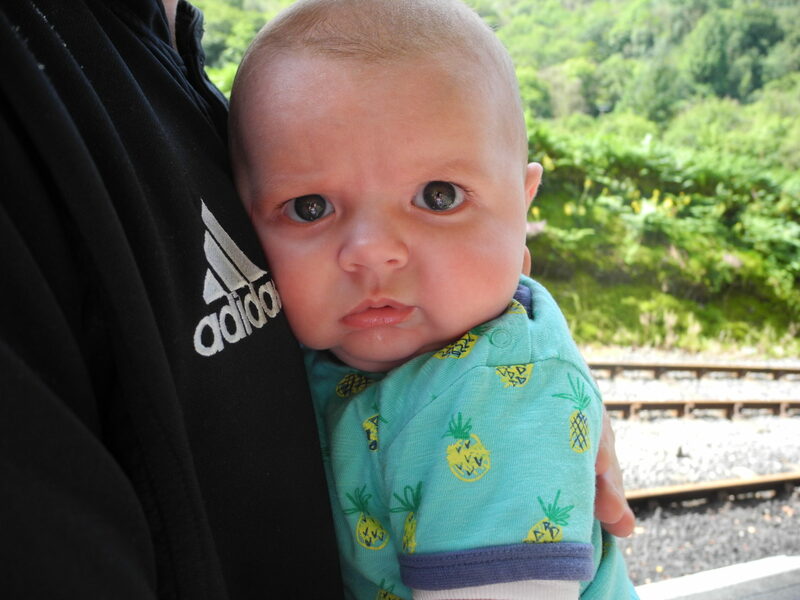 The pineapple romper is so good! Now I wish my son was small enough to fit into that romper!! Ahh thank you. 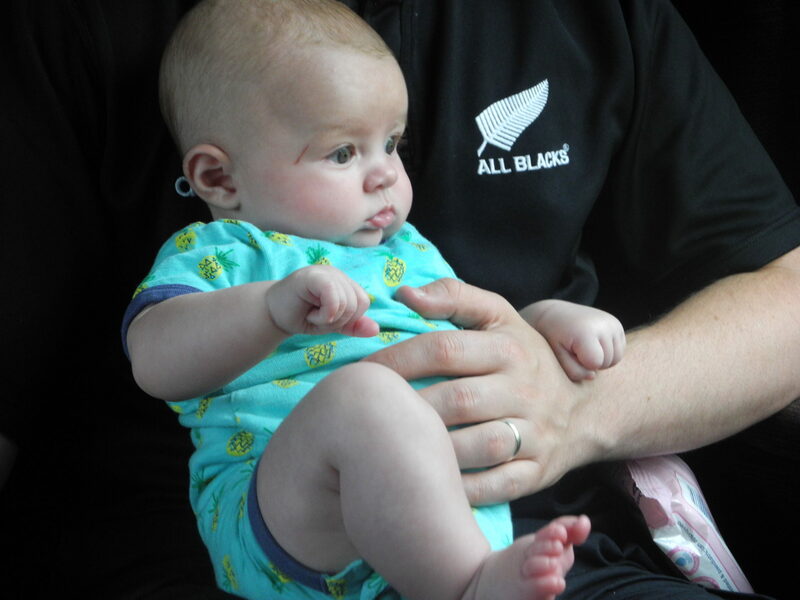 Yep my husband has had this top for nearly 10 years since we went to NZ. Where are you from? You clearly have great taste in clothes, I am loving the pineapple scene it is so summery and your great at composing flatlays too. Loving the outfits. Rompers are super cute. Loving the tropical in clothes this summer – and so nice to be able to enjoy them in almost tropical weather! Very fruity! Hehe, super cute and super trendy. My sis is pregnant again so hopefully I can buy he/she lots of pineapple things soon. What absolutely divine outfits! The pineapple romper is SO cute!